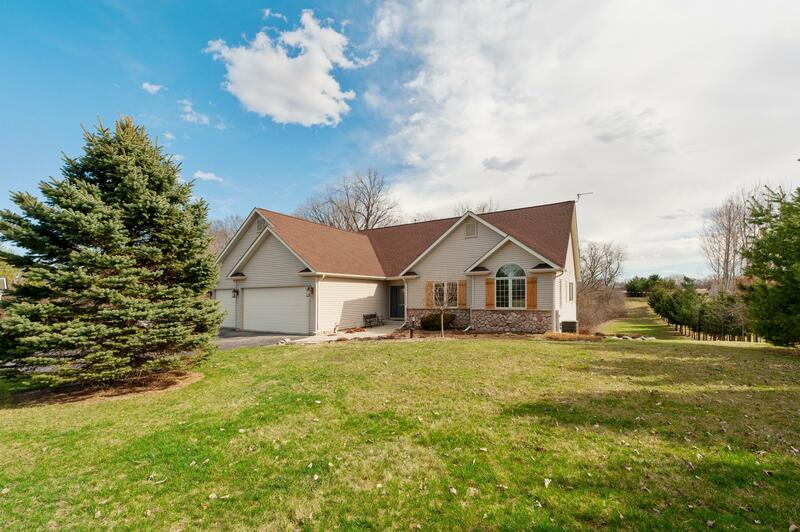 Meticulously maintained 5BD/3 Full BA ranch styled home w/oversized 3 car garage on 5.32 acres. Enjoy beautiful wooded views and quiet country living. This open concept home is bright & sunny offering loads of natural light in every room. Features include eat-in kitchen w/large island & adjacent dining rm, expansive living rm w/brick FP, main level mstr ste, finished walk-out lower level w/2 beds, bath, family rm, wet bar & office and fabulous screened in porch great for entertaining.